Dr. Nicholas H. Dodman, one of the world's most noted and celebrated veterinary behaviorists, graduated from Glasgow University Veterinary School in Scotland. He was a surgical intern at the Glasgow Veterinary School before joining the faculty. In 1981, Dr. Dodman immigrated to the United States where he became a faculty member of Tufts University School of Veterinary Medicine. Shortly after his arrival, Dr. Dodman became interested in behavioral pharmacology and the field of animal behavior and later founded the Animal Behavior Clinic - one of the first of its kind - at Tufts in 1986. He received an additional board certification in animal behavior from the American College of Veterinary Behaviorists. Dr. Dodman began to see clinical cases in 1987 and since 1990, he has devoted all of his time to his specialty practice of animal behavior. Since the mid 1990s, Dr. Dodman has written four acclaimed bestselling books that have received a tremendous amount of national press, as well as authoring two textbooks and more than 100 articles and contributions to scientific books and journals. He appears regularly on such radio and television shows as 20/20, Oprah, The Today Show, Good Morning America, Dateline, World News with Peter Jennings, Discovery Channel, NOVA, Animal Planet, the BBC and CBC, CNN's Headline News, Inside Edition, MSNBC, NOVA, NPR's "Fresh Air" and A&E. He is currently a Professor, Section Head and Program Director for the Animal Behavior Department of Clinical Sciences at Tufts' Cummings School of Veterinary Medicine in North Grafton, Massachusetts. 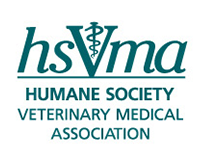 He is also a member of the American Veterinary Medical Association (AVMA), the American College of Veterinary Behaviorists (ACVB), the American College of Veterinary Anesthesiologists (ACVA), and a founding member of "Vets for Equine Welfare" (VEW).